I have to warn her when something I’ve got for her is featured and I caught her out for ignoring me when I visited her last week, so Mother MANFACE now has her own hashtag #DontReadThisMum. So, Christmas time is almost upon us and here are my favourite last minute luxury beauty gifts, here mainly for the guys that are now running around like headless chickens for leaving it too late. You have to check The Body Shop out this year for gifts. I’ve already ordered quite a few! At the moment it’s 40% off plus a free 200ml Shea body butter when you spend over only £10 with code 19806 – click here! The first of the two is the Maca Root shaving kit which is perfect for those who get sensitive irritation after shaving and includes their cruelty-free brush (the best shaving brush you’ll ever use). The second is the Drops of Youth skin care kit featuring a beautiful Aloe based serum (one for face and another for eyes) that will leave your winter dehydrated skin absolutely thirst quenched. Finally one gift means that The Body Shop will provide one day of clean water for people in the world that need it through their charity partner, WaterAid. Last delivery is 11am on the 22nd December selecting express delivery! 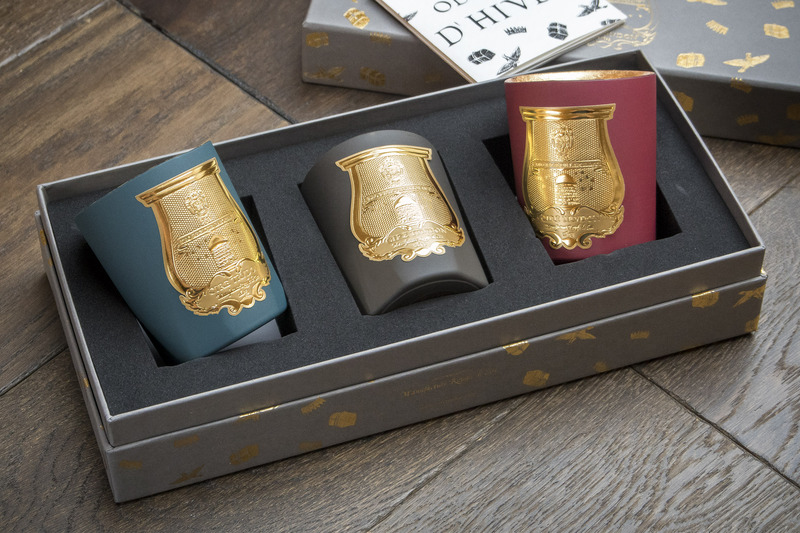 I have fallen a little in love with Noble Isle this year, featuring their fabulous products earlier on for Father’s Day. 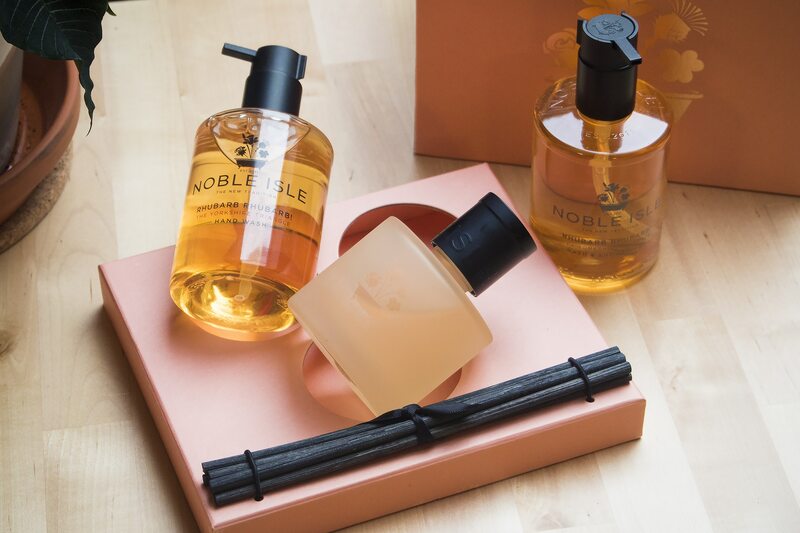 The Rhubarb Rhubarb collection is absolutely to die for, with both the strength and softness of the Rhubarb scent. There’s top notes of Rhubarb, and Juniper Berry, heart notes of Rosemary and Tarragon and base notes of Moss and Cedarwood. In the set you’ll get a long-lasting reed diffuser, shower gel and hand soap; your bathroom is going to smell unbelievable, trust me! I found the set available online here from Alyaka at just £65. Everyone loves Neom, their aromatherapeutic fragrances are to die for and Perfect Peace is no exception. Rather than parading the standard clove, orange and cinnamon (which I love for the record) they’ve gone wintery rather than festive with, and I quote, 25 of the purest possible essential oils including pine, myrrh and lime peel. It’s uplifting which is just want you need during these dank and dark winter days! 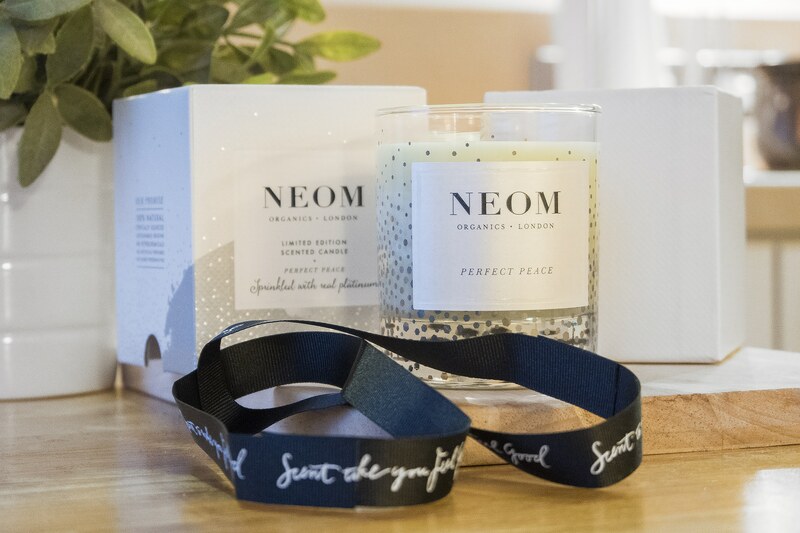 Neom Organics single wick Perfect Peace candle is available here for £34.95. Last delivery for Neom Organics is 21st December! This article first appeared on MANFACE written by Thom Watson. It was published on Friday 18th December 2015 and was last updated on Monday 3rd April 2017 at 1:16pm. It's categorised under Christmas 2015, Editorials where you'll find more related content. 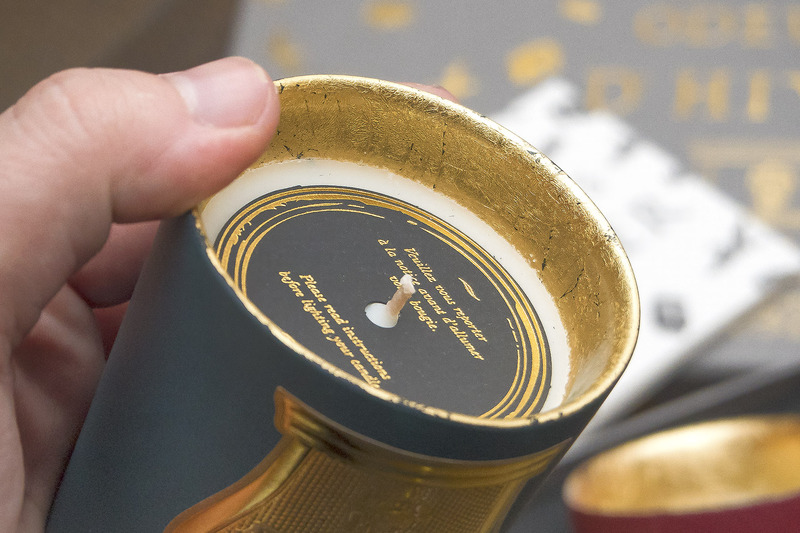 Candles always make for the perfect Christmas gift!